China’s big property developers were talking about survival six months ago. Now they’re selling $5 million apartments with ease. Last September, China’s third-biggest real estate developer said something that sent shivers throughout the country and beyond. China Vanke Co.’s goal for the next three years would be simply “to survive,” its chairman Yu Liang warned. This was a startling admission from one of the few investment-grade companies in the sector, acknowledging the severe squeeze from Beijing’s deleveraging campaign. Yu’s remark was timely. Shortly afterwards, the average yield for Asia’s dollar junk bonds, which is largely determined by Chinese property developers’ notes, soared. What a difference six months makes. Now real estate companies are thriving. This year, Vanke managed to quickly sell more than 70 percent of 126 luxury apartments available at the launch of a new riverside project in Shanghai. They were priced between 25 million yuan and 35 million yuan ($3.7 million and $5.2 million) each, a pretty striking sign of returning confidence. 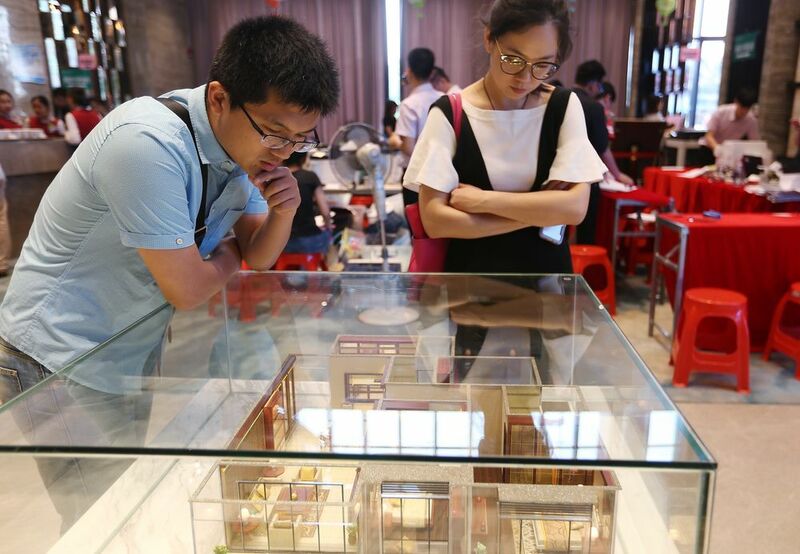 On average, sales at listed Chinese property developers should increase by 18 percent this year, according to estimates from Credit Suisse Group AG. Most importantly, developers can refinance again. Yuzhou Properties, a junk-rated real estate group, has been given the nod by regulators to issue 3.5 billion yuan of notes after a dry spell of two long years. The worry, of course, is that Chinese developers remain reckless and will take bond investors’ money for a wild ride. What’s stopping, for example, China Evergrande Group from using the $3 billion it raised in January to invest in electric vehicles, its chairman Hui Ka Yan’s new pet project? Yet there are tentative signs that the sector — sick of being burned by China’s frequent credit cycles — is starting to grow up. Just look at how it reacted to Beijing’s project to slash corporate debt. In 2018, new real estate project starts soared by 17 percent from a year earlier, but completions (measured by floor space) tumbled by 17 percent. One explanation, according to Macquarie Bank economist Larry Hu, is that developers were prudently trying to speed up their cash turnover. Seeing a long winter ahead in terms of debt funding, companies were keen to cut their land bank exposure and pre-sale the properties from their development projects as early as possible. Then they could take their time to finish the construction phase. As a result, China’s developers have become better at cash collection than ever. Last year, the sector’s cash flow from operations, including mortgage payments and deposits from pre-sales, accounted for almost 48 percent of its total funding, a record high. While developers still depend heavily on bank loans and “self-raised funds” (either cash on hand or money raised from shadow banking), they’re getting wiser. There’s a shift in attitude too. Sunac China Holdings Ltd. just posted stellar earnings, with a 50 percent profit surge last year, yet its founder Sun Hongbin remains cautious about land purchases. This follows a more disciplined approach by listed developers overall in 2018, with new land acquisition accounting for only 42 percent of sales, versus 72 percent in 2017. One can see the rationale for treading more carefully. I can count at least three big Chinese credit cycles in the past decade alone. There was the 4 trillion yuan stimulus after the collapse of Lehman Brothers, the local government financing vehicles in the summer of 2012, and the People’s Bank of China’s interest rate cuts in late 2014. And now the tap is being re-opened after the squeeze of the previous two years. In between Beijing’s bouts of generosity, there are always painful periods of fasting.